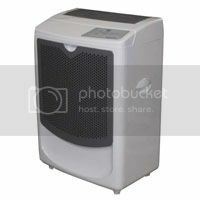 The Natural Handyman: Dehumidifiers are just one more way that man has taken control of his environment. Basements can be dark, damp, moldy places. But they can be used for living and storage by controlling the amount of moisture in the air… a problem common to all but the driest climates. Dehumidifiers remove moisture from air, improving the usefulness of basements by controlling the dampness and the potential damage to your home and possessions. So unless you prefer to use your basement mostly for growing mushrooms and designer mildew, there should be a dehumidifier in your future! This entry was posted on Thursday, June 28th, 2012	at 3:50 pm	. You can follow any responses to this entry through the RSS 2.0 feed. Both comments and pings are currently closed.